"Dennis Bergkamp has left a legacy worthy of a statue at Arsenal. Bergkamp scored 120 goals in 423 appearances for Arsenal as well as providing over 100 assists for the club. He was also capped 79 times for his country the Netherlands, scoring 37 times. The legendary Dutchman is remembered for his technique and vision on the pitch and he is arguably the greatest Dutch Premier League player of all time." "Bergkamp was the pivot around which the attacking strategy was built. He was the mastermind that pulled the correct strings that saw Henry, Pires and Ljungberg score some wonderful goals. Bergkamp’s vision became legendary. He saw a pass before anyone else did, solving a puzzle where every player was a piece of the jigsaw. He loved to take calculated risks that more often than not paid off, resulting in some beautiful goals and even more assists." "Of the hundreds of defenders who played against me during my career I pick Bobby Moore as the greatest of them all." "Few would disagree with Pelé’s verdict. Moore was the complete defender. Strong in the air, clinical in the tackle, his distribution was impeccable. He was no sprinter but his ability to read the game meant that he was rarely caught out for pace. 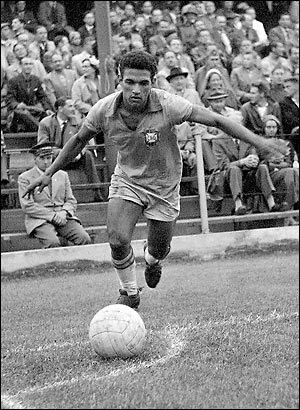 And he was so even-tempered that he rarely flapped or got booked (Pelé, again, called him the fairest defender he had ever played against)." "Skilful, agile, extrovert, fast, inspired, magical. That's Ronaldo de Assis Moreira, known by the nickname of 'Ronaldinho Gaucho'. The Brazilian star grew up with a football glued to his feet in the heart of a family with strong footballing traditions, where both his father and his brother have been successful players. Ronaldinho's greatest assets are speed and boundless technical skills. His natural position is behind the striker though with the ball at his feet he moves well anywhere in the attack. Although he is not principally a goal scorer, his outstanding ability enables him to score from the most unlikely situations. Indeed, his reserves of tricks and dribbling skills seem to be inexhaustible and the fans are constantly surprised by his range of seemingly impossible moves. His combinations with the rest of his team mates in attack increase the team's attacking potential enormously." "Ronaldinho: what can be said? For me the greatest players of his generation with his skills, his ability to turn a game on its head, that goal vs England in 2002 and of course that massive smile he always played with. What a player!" 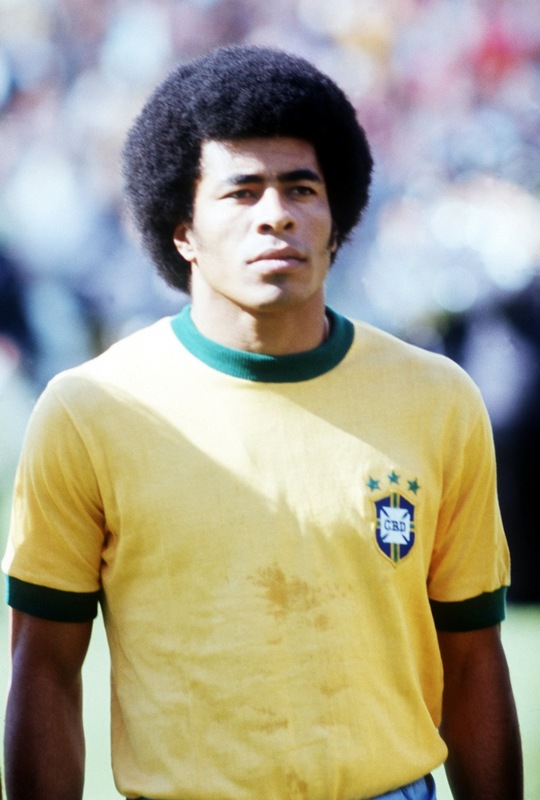 "Ask anyone who Jairzinho was, and there is a good chance their answer will be along the lines of: the Hurricane (Furacão) of Mexico 1970; the right-winger in one of the greatest teams of all time; or perhaps the marksman who, to this day, is the only player to have scored in every game of a FIFA World Cup, including the Final, in a title-winning side. And while all this is true, it is still only a small – albeit hugely important – part of who this Brazilian was." "One of the most talented footballers the world has ever seen, the splendour of his intuitive imagination crystallising into outrageously joyous acts, sporting taunts on the pitch. In games he would regularly fake to shoot. Sometimes he would even fake not to shoot, and score. But that was only after he had his fun. Goals were the necessary climax but he much preferred the foreplay. His play was sensual but possessed a violence of movement that sent cumbersome defenders running into thin air, like dogs tracking and hounding a rabbit that deceives them by changing direction suddenly, cunningly and without warning." "He never did win the FIFA World Cup™, the ultimate prize for a footballer. In fact, it is the only trophy missing from Platini's impressive trophy cabinet, but that surely does not detract from his status as a footballing legend. His technical ability, reading of the game and amazing ruthlessness in front of goal made him one of the game's all-time greats. 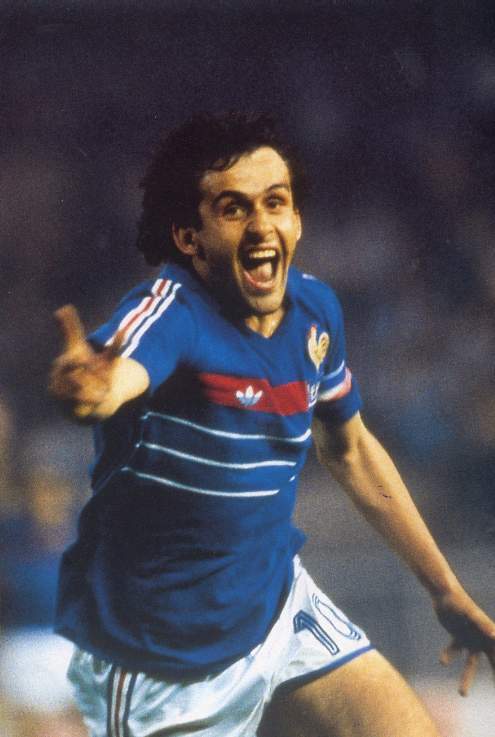 Yet above and beyond these exceptional talents, the captain of Les Bleus was also the epitome of intelligence and elegance, and it was these qualities that forever etched the name of Platini in the hearts of the fans." "Marco van Basten was the greatest goalscorer of his generation. It wasn't just that he scored lots of goals, nor that many of them were outstanding.No, what made him the most feared striker in world soccer was a rare ability to perform when it was most needed. Pressure seemed nothing to him. It brought out his best. It was van Basten who scored one of the best goals seen in international competition. And the fact that it won the only football honour ever achieved by Holland is the true measure of his ability." "The most notorious goalpoacher of his generation and the World Cup's all-time topscorer, Gerd Müller began his career in his birthtown club in Nördlingen before moving to Bayern Munich as an 18-year old in 1964. His career took off from there and Müller made his international debut in October 1966 against Turkey and quickly established himself in the team. Stockily built Müller had a special talent for scoring. Virtually all his goals came from inside the penalty area and most of them out of nothing. Twisting and turning away from defenders and great positioning helped him score an incredible 68 goals in only 62 appearances for his country and 365 goals in 427 Bundesliga games which enabled him to top the scoring charts seven seasons." "He can't be compared to anyone. Anyone! Not even Pelé." "Remember the kid in the playground who was better than everyone else with a football at his feet? That's what Thierry Henry was like in his pomp. Then there's the goals, a club record 228 of them to be precise. And what a portfolio Henry built up during his eight years as Arsenal. Thumping drives, delicate chips, jinking runs, audacious backheels, even the odd header - the Frenchman had a myriad of ways to find the net." "The first day that he came into the dressing room, I did not dare to look him in the face. I knew everything that he had done in England." "The kid makes you sick. He looks the part, he walks the part, he is the part. He's six-foot something, fit as a flea, good-looking - he's got to have something wrong with him....Hopefully he's hung like a hamster! That would make us all feel better!" "There have been a few players described as the new George Best over the years, but this is the first time it's been a compliment to me." “He made me dream and he still makes me dream, For me, he is the best player of all time. "I play with the best player in the world. We get along well on and off the pitch and I learn a lot from him."